Time Domain Reflectometry (TDR) has traditionally been performed using a fast oscilloscope and a very sharp impulse or step type excitation. Reflections from the excitation are measured at the source and distance and the magnitude of the reflection coefficient may be ascertained from the delay and magnitude of the returning reflected signal. This measurement is performed in a very wide band measurement and the signal to noise ratio can be quite poor because of this. 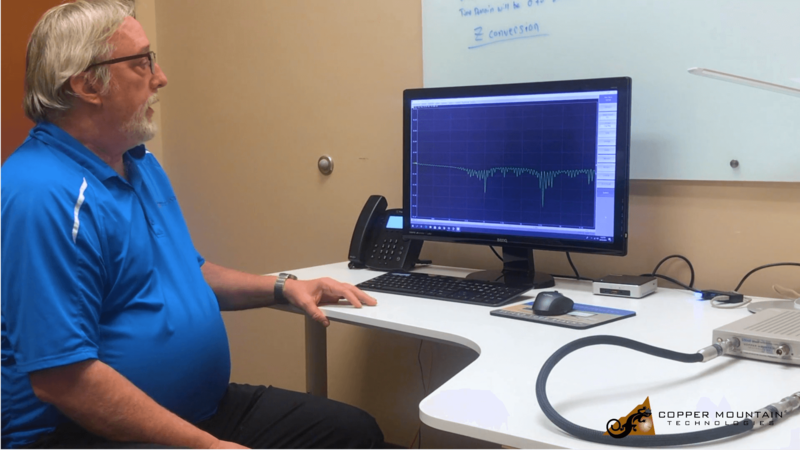 TDR performed using a Vector Network Analyzer (VNA) allows for the measurement to be made in a narrow RF bandwidth with a corresponding large improvement in signal to noise ratio. This method, utilizing the reverse Fourier Transform on a VNA is clearly superior.